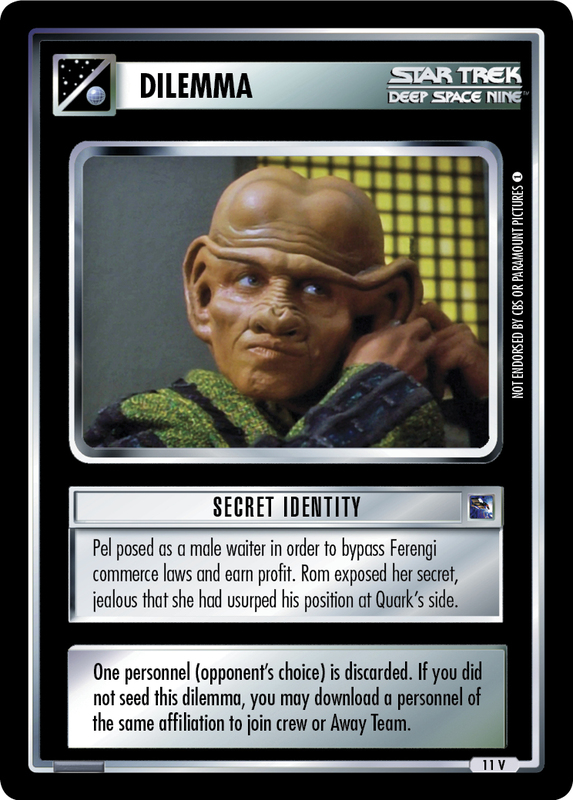 Pel posed as a male waiter in order to bypass Ferengi commerce laws and earn profit. Rom exposed her secret, jealous that she had usurped his position at Quark's side. One personnel (opponent's choice) is discarded. 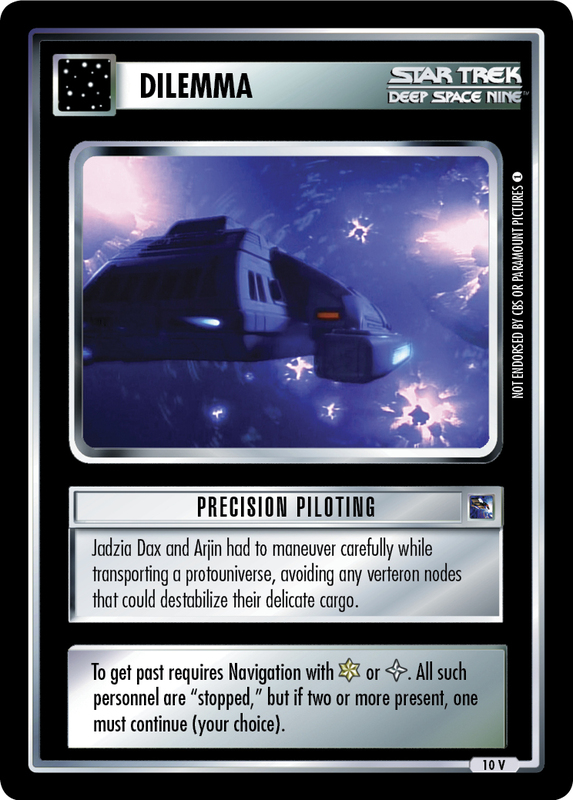 If you did not seed this dilemma, you may download a personnel of the same affiliation to join crew or Away Team.